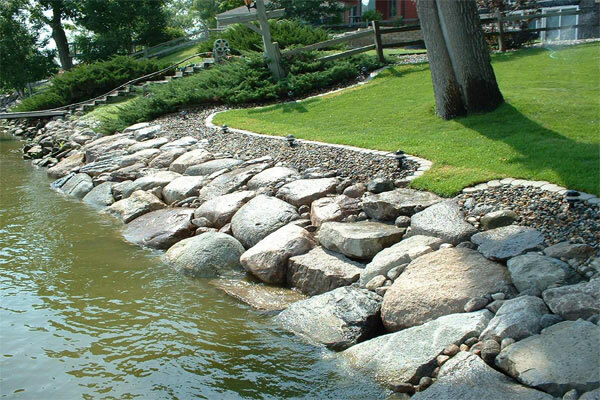 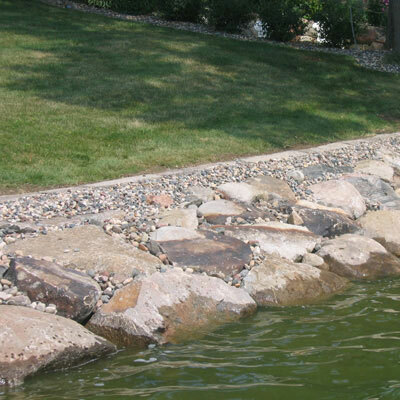 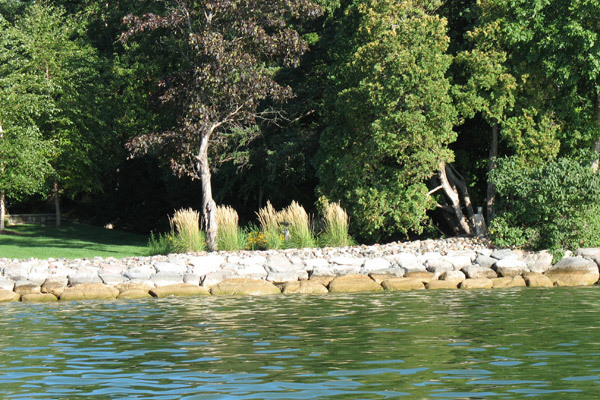 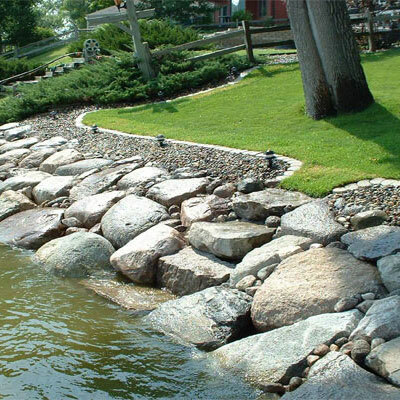 FineLine Lakeshore Service installs large natural rock along your shoreline to control or stop erosion and beautify your lakefront. 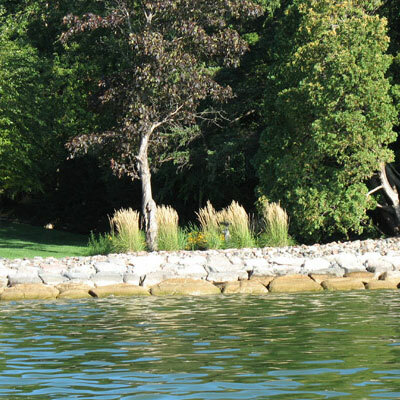 FineLine will handle all phases of the project — shoreline assessment, permit procedures, shoreline preparation, and final installation following the permit requirements. 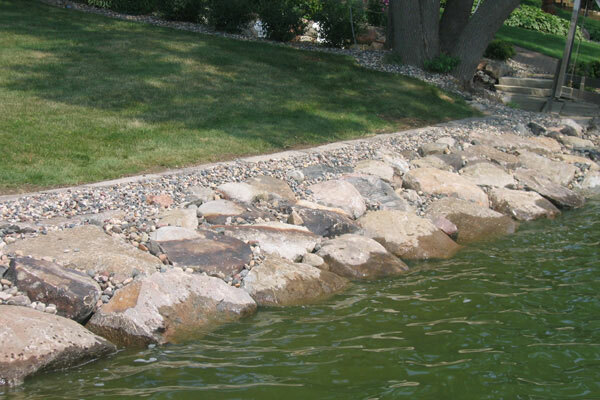 RipRap is installed by a claim barge or bobcat depending on project location.